I haven’t had any investments – other than my first marriage – where I’ve lost money. I’ve been good with my cash. This week Whitfield interviewed Jeremy Mansfield. 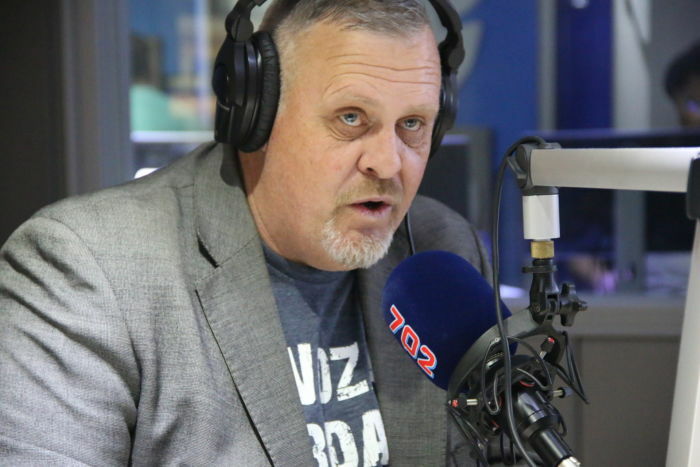 Love or hate him; Mansfield is one of the most well-known radio and television personalities in South Africa. Born and raised in Grahamstown in the Eastern Cape, Mansfield attended school at the prestigious Kingswood College and went to Rhodes University where he studied speech, journalism and drama. He is the creator of 94.7’s famed “The Rude Awakening” breakfast show. A lesser-known fact about Mansfield is that he does a lot of charity work. He established “Christmas Wish”; an annual drive aimed at assisting people with school fees, paying for surgery and hospital expenses, home supplies, etc. The “Hear for Life Trust” was spun out of the Christmas Wish to assist in Cochlear implants for poor South Africans. Mansfield is a patron, along with Archbishop Emeritus Desmond Tutu, of The Sunflower Fund. He is also an honorary member of the animal welfare group the NSPCA. But what is it that he believes about money? There’s no rock star DJ money! The property I bought in Vancouver [is the best investment he’s ever made]… Bryan Adams is [literally] my neighbour!